Since the infamous 6.0 Powerstroke has been out in use for well over a decade we are starting to see more and more problems that we haven’t had to deal with before. 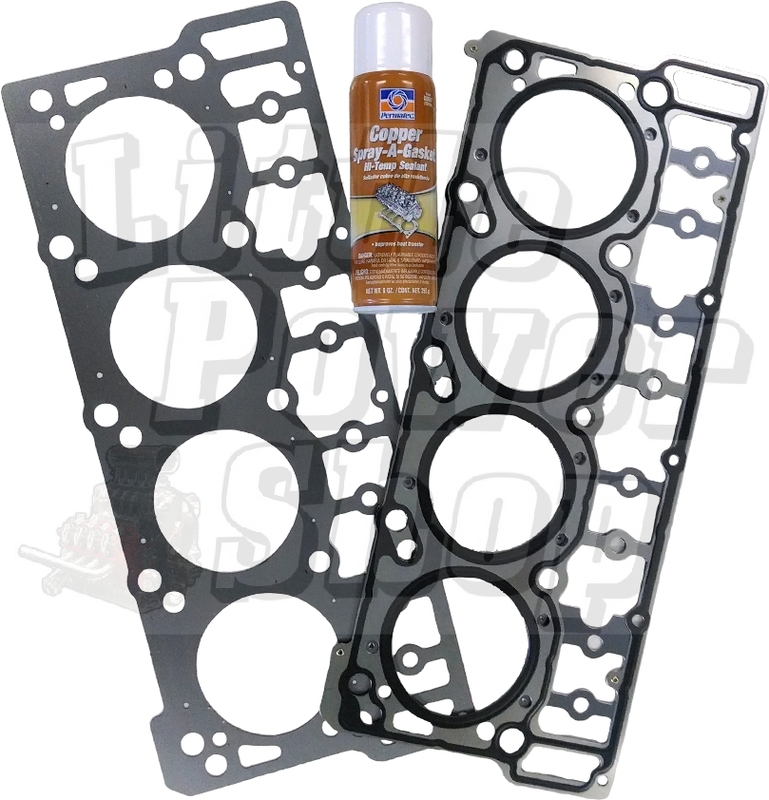 We all know that the Ford 6.0 Powerstroke engine has it’s fair share of head gasket problems. These trucks are getting enough miles on them that they are coming in for their second set of head gaskets. Worse yet, some trucks have been run for a long time with bad head gaskets or stretched head bolts which lead to cylinder head or block surface damage. So what’s the huge problem we are running into? If the head gaskets were already done once and someone did it properly, the heads should have been surfaced. It usually takes somewhere between .006-.008 to clean up most virgin heads. And yes, I don’t care what Ford says, you can surface the heads. There is absolutely no reason to replace them if they are warped. I couldn’t guess how many 6.0 Powerstroke head gasket jobs we have done and every single one of them we surfaced the heads. If you know what you are doing, there is absolutely no problem with this. But we are starting to have a problem if the truck is coming in for it’s second set after a failed job or worse from someone who ran the truck with bad gaskets for a while. What do you do if you need to take more than .010 off the head? Why throw away an otherwise good head? A couple of years ago we decided to have some steel head shims made to test. We had a truck that had severe grooves wore into the head from the head gasket being bad and we needed to take roughly .015” off the head surface. This would cause all sorts of geometry problems with the valve train, put the valves too close to the pistons, and just be a problem in general. So we had a company design a 6.0 Powerstroke Head Shim to our specifications. This shim is .020 thick and goes directly onto the engine block with adhesive gasket material. You then put your cylinder gasket on like normal. This worked excellent! So every time we got a head or pair of heads that needed severe surfacing, we installed a set of shims and saved the head. There is absolutely no reason to throw away an otherwise good head if it can be surfaced. We have had a set of shims running in our own Low Dollar Hauler shop truck for over a year now with absolutely no issues. We use the truck mainly for towing and it gets used hard. We have been using it for a daily driver for the past 6 months as well to make sure there are no issues at all. Between all the customer trucks we have done and our own that has held up so well, we feel there is absolutely no reason not to release them to market and start saving everyone a fortune by not having to buy new heads constantly. Will these shims hold up over time? Yes, they will. Steel head gasket shims like these have been used for decades in many other applications. This isn’t new unproven technology. Even Nascar engines have used steel shims like these with great results. Are you better off just getting a new head? Probably not. First, there is no reason to throw away your head if the only problem with it is that you need to take more than the .008 limit off the surface to get it true. None. Worse, many of the reman and sometimes brand new heads we get into the shop still need to be sent to the machine shop since they are sometimes warped. Have your head surfaced and checked by a good machine shop and you will not only be better off, but also save yourself money. I’m worried about the head gasket sealing to the shim. Is it a problem? Not at all. In fact, the head gasket will actually seal better to the shim than the un-machined block surface. There is a layer of sealer that gets applied to the bottom of the shim and top of the block before the shim is installed. This bonds the shim to the block. The head gasket now has a perfectly smooth, clean, and flat surface to seal to. Most times this is superior to the pitted block surface we see when removing heads from a higher mileage Ford 6.0 Powerstroke Engine. Does adding the shims change the compression ratio? Yes. How much depends on how much you had to take off the head to true it up. We are assuming that since you are using a head gasket shim at least .010 had to be taken off the head. Calculating exact compression ratios gets tricky since there is a huge variance in block, piston, and head heights in production motors, but in this scenario compression should only be lowered by less then ½ a point. To be honest we did compression tests on a couple of the engines that we only put a shim on one side and saw almost no variance between all the cylinders. It’s pretty much a non-issue. Will the intake manifold and other accessories still line up if I use a shim? Yes. Just to give you an idea of how much we are changing the head’s distance from the block, a piece of regular printer paper is about a third as thick. So if you placed three sheets of computer paper under your head, it is barely moving anywhere. All the intake manifold bolts will line up without issue. Can these shims be used in high horsepower applications? We believe so, but are still testing them in applications above 430 rear wheel horsepower. They have held up great to trucks running stock injectors. Power levels beyond that will be confirmed later. When used properly and with proper preparation, steel shims are 100% reliable.